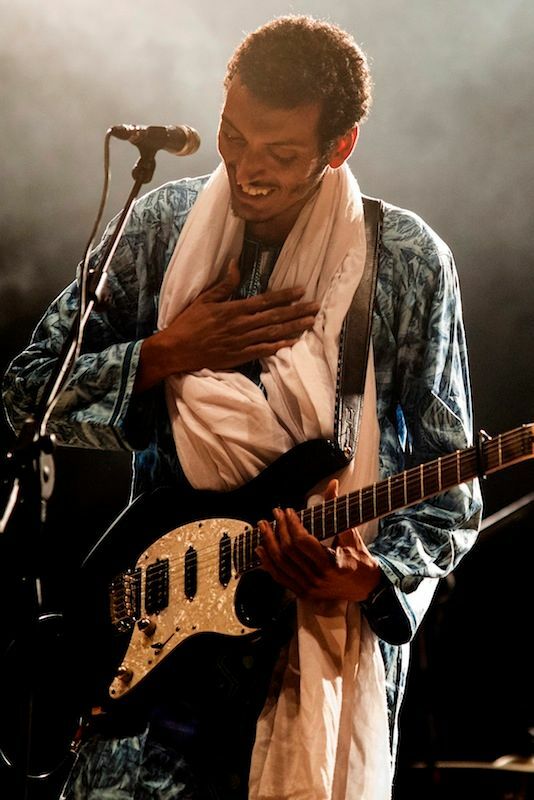 On April 2, 2013, Bombino made his Nonesuch Records debut with the release of the albumNomad, which was recorded with 2013 Grammy Award-winning Producer of the Year Dan Auerbach of The Black Keys at his Nashville studio, Easy Eye Sound. Nomad debuted at #1 on theBillboard World Music album chart and iTunes World chart and has earned rave reviews from top media outlets around the world including BBC World Service, which calls it “utterly, utterly fantastic” and Rolling Stone, which calls Nomad “a perfect match of sound and soul [that] introduces a new guitar hero.” His dazzling live performance and virtuosity on the guitar have led notable music critics to compare him to Jimi Hendrix, Carlos Santana, Neil Young, and Jerry Garcia. 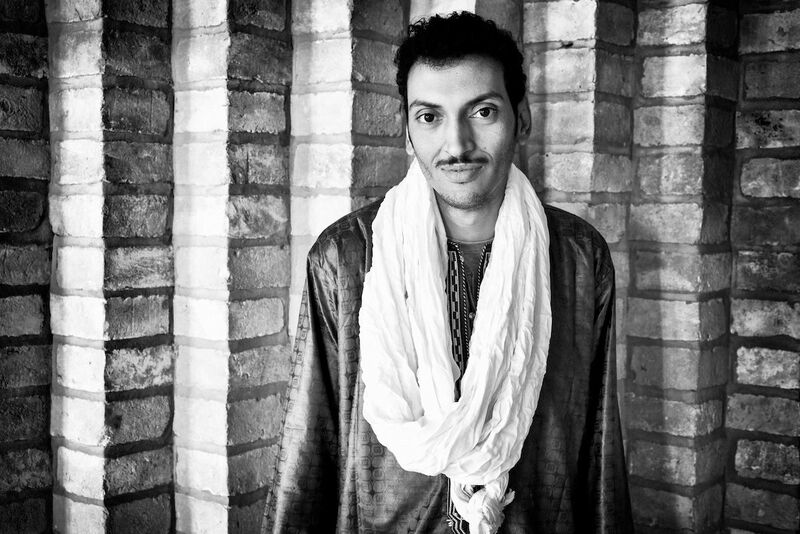 After a ‘brief’ 25 hour delay in Morocco on his way from Niger, Bombino arrived in Woodstock, New York in late 2015 to record his new album, Azel, at Applehead Studio with Dave Longstreth (Dirty Projectors). Applehead is a beautiful studio in a converted barn on farmland where goats, pigs, and other animals roam freely. The band stayed in a guest house a few steps away from the studio, and took turns making meals. Apart from a morning invasion of the guesthouse by a 700-pound pig, Applehead was the perfect atmosphere for Bombino and his group to create new music over the course of the 10 days they had there. Longstreth, meanwhile, proved to be a fantastic match for Bombino as this album’s producer. He has a deep respect for the Saharan music tradition and guided their sessions with a gentle but skilled hand. 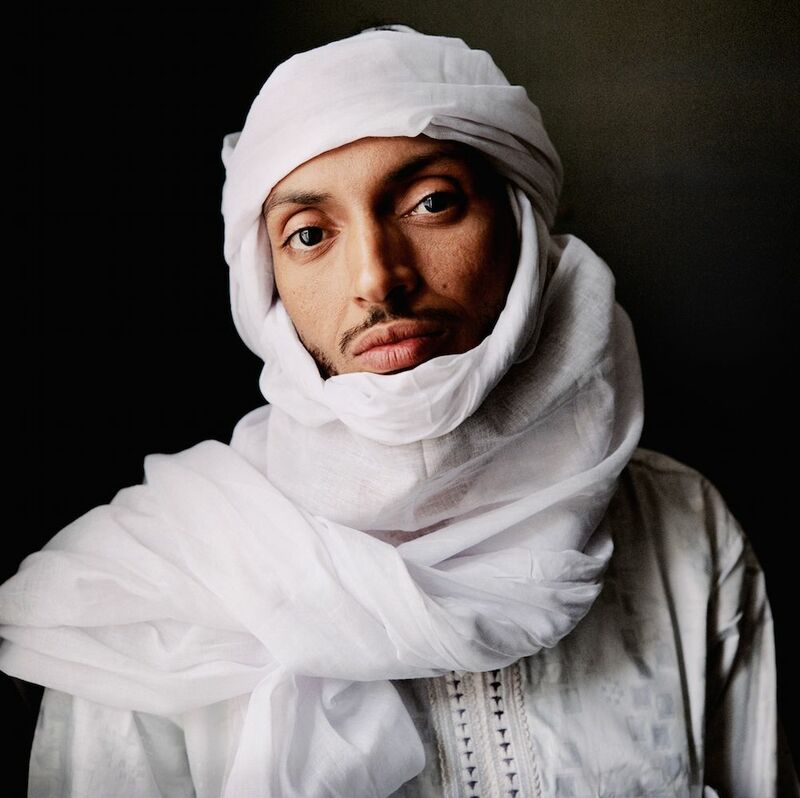 Fans of Bombino and Tuareg music in general will notice a few remarkable innovations on this album. 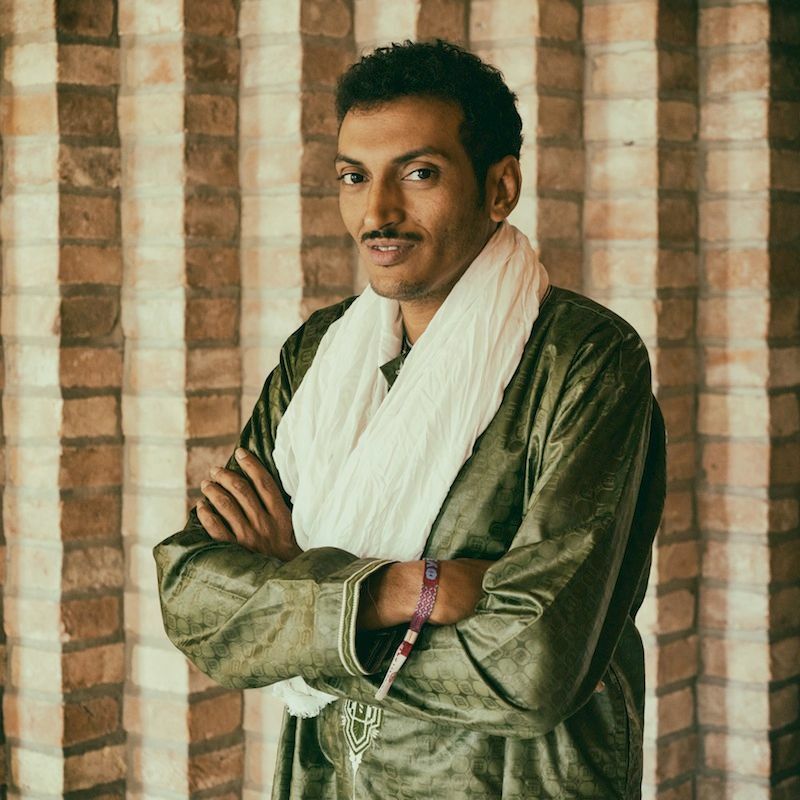 The first is the introduction of a new style Bombino is pioneering that he affectionately calls 'Tuareggae' - a sunny blend of Tuareg blues/rock with reggae one-drop and bounce. Another is the first-ever use of Western vocal harmonies in recorded Tuareg music (due to Longstreth's influence), which give the songs new depth and color. Finally, the band behind him is tighter and more energetic than ever before. 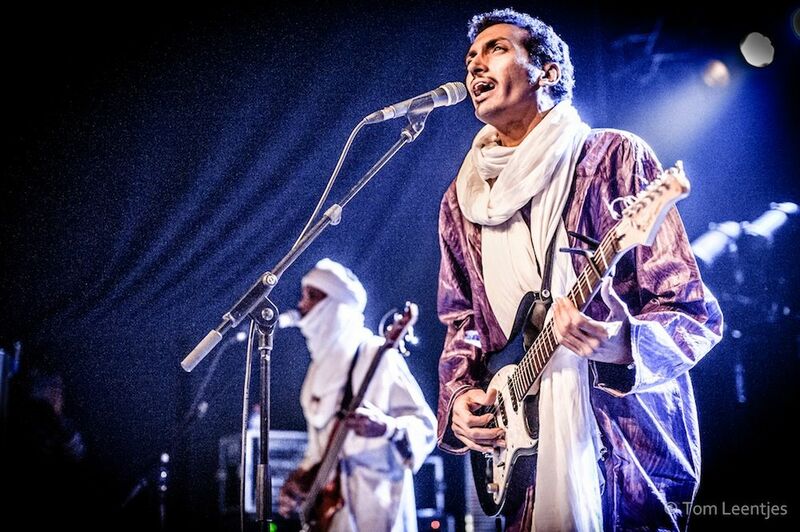 The result is Bombino's best, most well-rounded, and groundbreaking album to date: Azel.